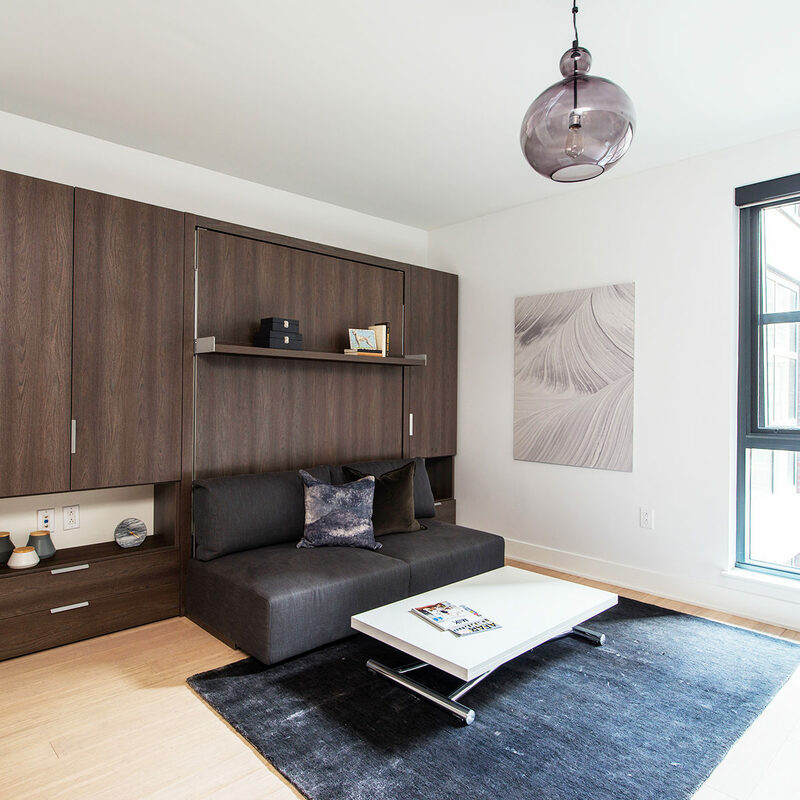 Real estate giant Forest City has entered the micro-unit market with their award-winning new Arris building at The Yards located in SE Washington D.C. Forest City’s micro-unit project began – as much innovation does – with a challenge. In this case, it was figuring out how to optimize a line of awkward one bedrooms + den unit types. In the face of this challenge, Forest City Vice President of Development Jason Bonnet saw an opportunity. Bonnet had been reading about furnished micro-units and saw the exhibition at the Museum of the City of New York. He proposed reconfiguring the line to include several 385 square foot micro-units. 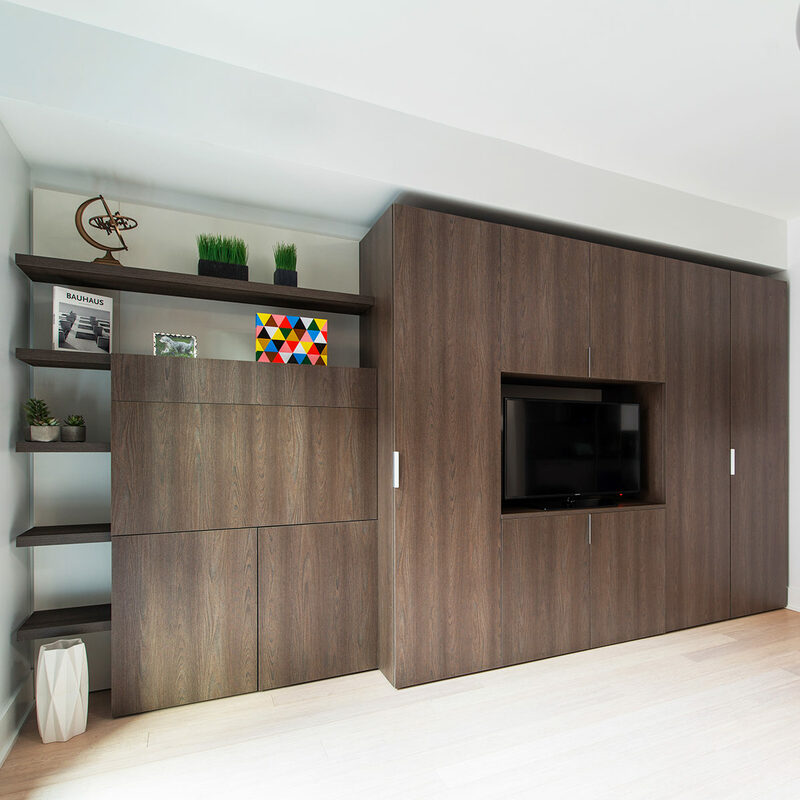 The resulting units are now available fully furnished with a host of transforming pieces including our Swing sofa/queen wall bed, a table that converts from coffee to dining heights, a fold-up Home Office workstation, ultra-slim folding Pocket chairs, and ample storage. Bonnet said some of the pieces could have been fabricated by a general contractor at a slight discount, but the offer was lacking in several critical ways: they had no specialized knowledge about small-space living or how to configure the furniture, and they offered only a one-year warranty. Compared to Resource Furniture’s 16 years of industry leadership, end-to-end logistical support and seven-year contract warranty, the choice was simple. Partnering with us also seemed like the more scalable solution; with outlets in nine cities in North America, Resource Furniture can easily service future projects as they arise. 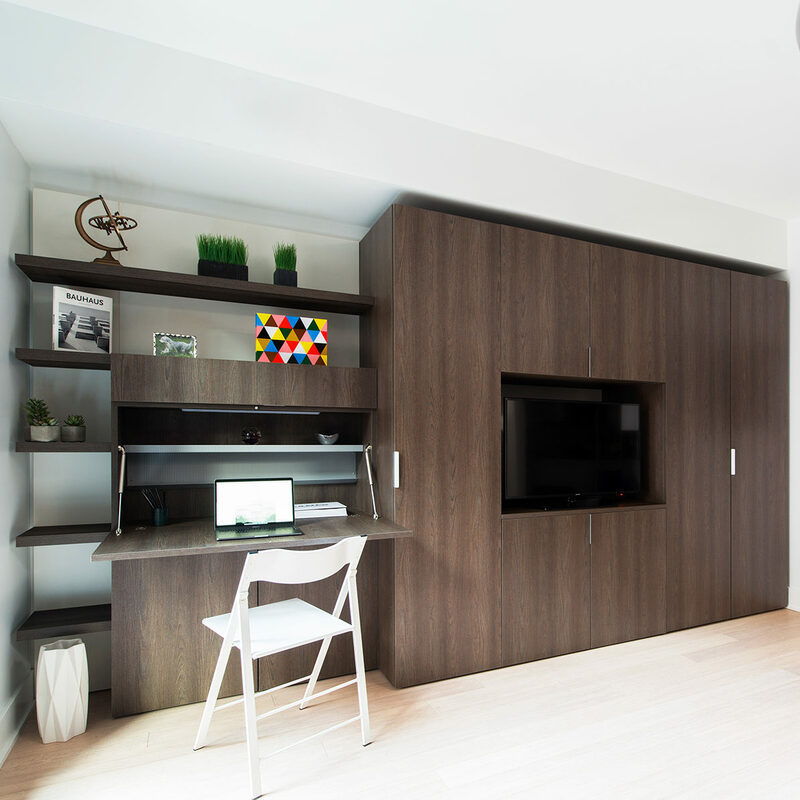 Regarding the tenant experience, the furniture gives the small space tremendous flexibility and functionality. It also takes a great burden off the tenant. “Just come with your clothes and toiletries, and you’re good to go,” Bonnet said. The units are available with 12 month, 6-12 month, and less than 6 month leases, but Bonnet sees them as more than short stay apartments. “One of the main things we want to convey is that these are real residences, not just alternatives to a hotel,” Bonnet said. The cohesive and elegant design, the unit’s efficient layout, and the depth of amenities – both in and out of the building – have universal appeal, he believes. 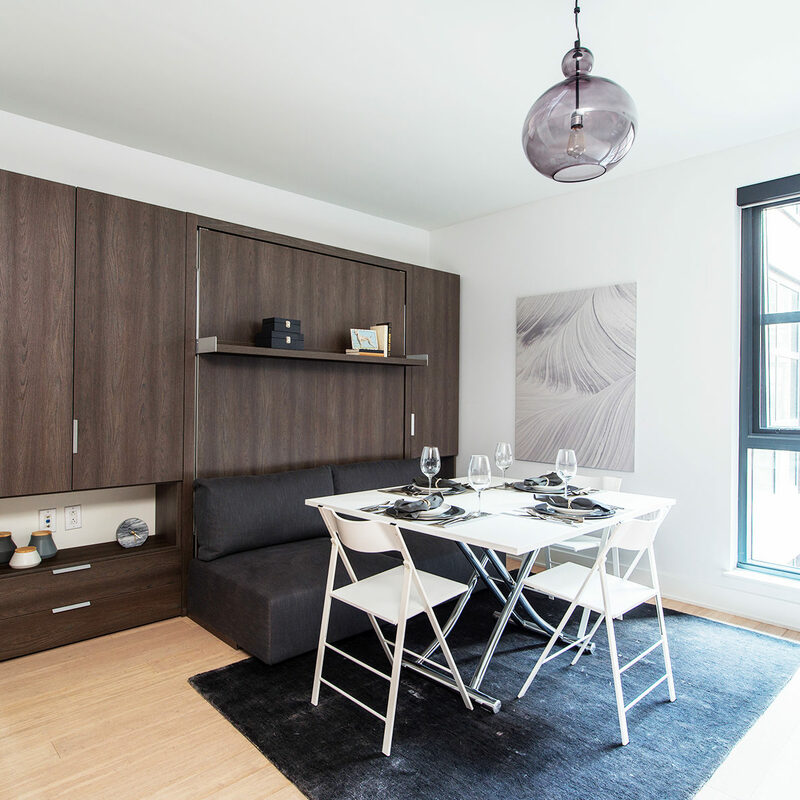 The convenience of the Yards location, flexible lease terms, and the furnishings have attracted not only the anticipated ”millennials,” but also D.C. commuters with home bases along the eastern corridor. So far, feedback has been overwhelmingly positive. Bonnet said that on an absolute basis, the micro-units are leasing better than the building’s conventional studios. And at $5 plus per square foot, they are achieving the highest rent per square foot of all the building’s unit types. Of their long-term economic viability, Bonnet feels positive. The combination of a higher rent yield and the high-quality, warranty-backed furniture should keep ongoing operational expenses extremely competitive. 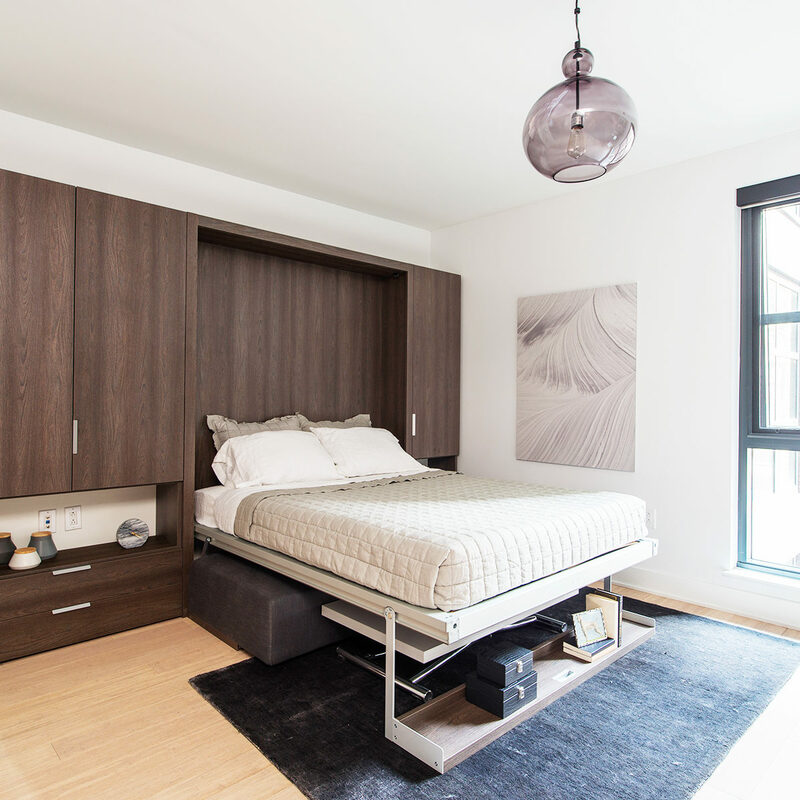 As Forest City continues to study the demographics, collect data and refine their marketing approach, Bonnet sees great possibilities for the micro-unit. “We have millions of square feet of development in our pipeline across the country,” he said. Based on Forest City’s experience with Arris, he is confident micro-units will play an important role in the unit mix in future developments. A version of this article originally appeared in Multifamily Executive Magazine.